It's a big deal for the Bucks as they try to create even more space for their star. The Detroit Pistons are also involved in the deal and multiple second-round picks will be exchanged. Both Smith and Johnson came to Milwaukee in earlier trades. Nikola Mirotic went to the Bucks for a playoff run, and four second-round picks ended up in the laps of Dell Demps and the Pelicans. There will be one in 2019, two in 2020 and another in 2021. 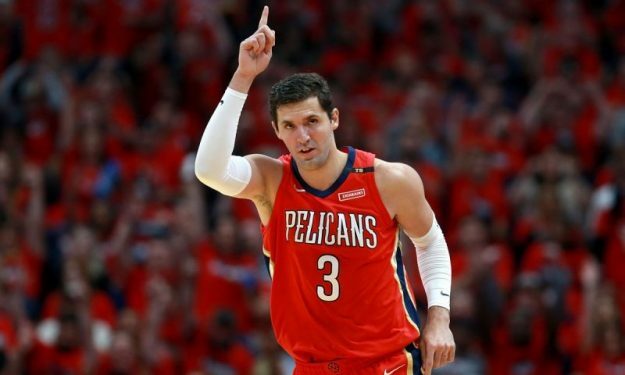 The Montenegrin is averaging 16.6 points on shooting splits of.447/.368/.842, along with 8.3 rebounds and 1.1 assists in his 32 appearances with the Pelicans this season. Drafted 10th overall in the 2016 NBA Draft by Milwaukee, Maker has appeared in 166 career NBA games (46 starts), and has averaged 4.5 points and 2.6 rebounds. This deal makes the Bucks extremely strong in the East and make them a very strong contender for the National Basketball Association title this season.